We have a full line of U.S. made strob, trim and guided edger saws for your mill. You will like the design of the strob saw which gives you extended life at high feed rates due to it running cooler and improved resistance to binding. Trimmer saws are made to keep on giving you smooth end cuts time after time, at high production rates. Reduced waste from consistent high quality is what you will get from the guided edger saws we offer. The blades are made to conform to your specifications with uniform hook angle, side clearance and plate thickness. 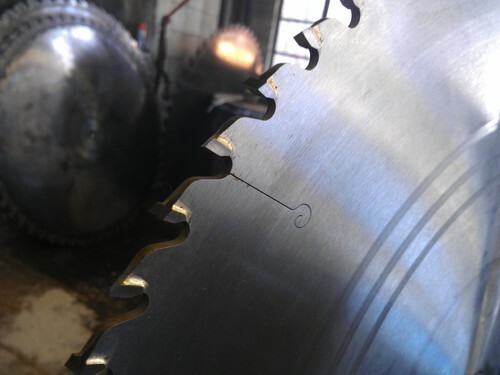 All of our carbide tipped saws are made of high quality steel we are proud to stand behind. Contact us to discuss your needs, and our sales team will help you select the right saw for your application.